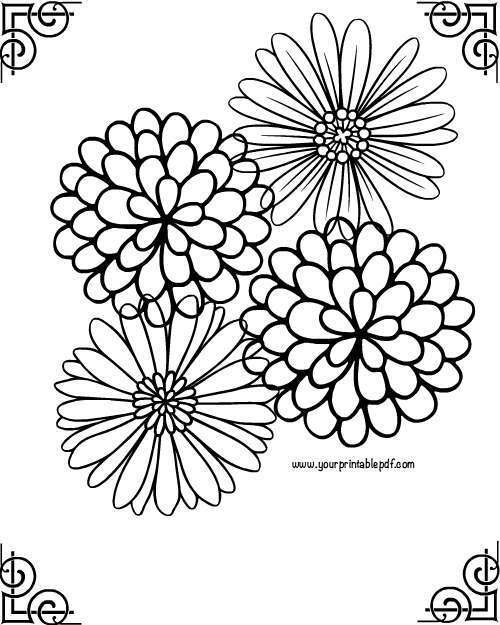 Buy this Framed Flower Adult Coloring Page to de-stress and color your day away. The flowers are large and provide plenty of space to color all day! Print-out this Coloring Page and spend a few minutes. Only $3.99!